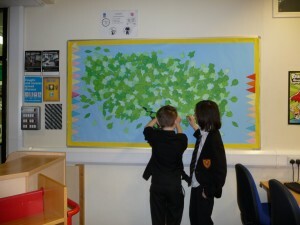 ‘It was National Poetry Day on Thursday 2nd October. 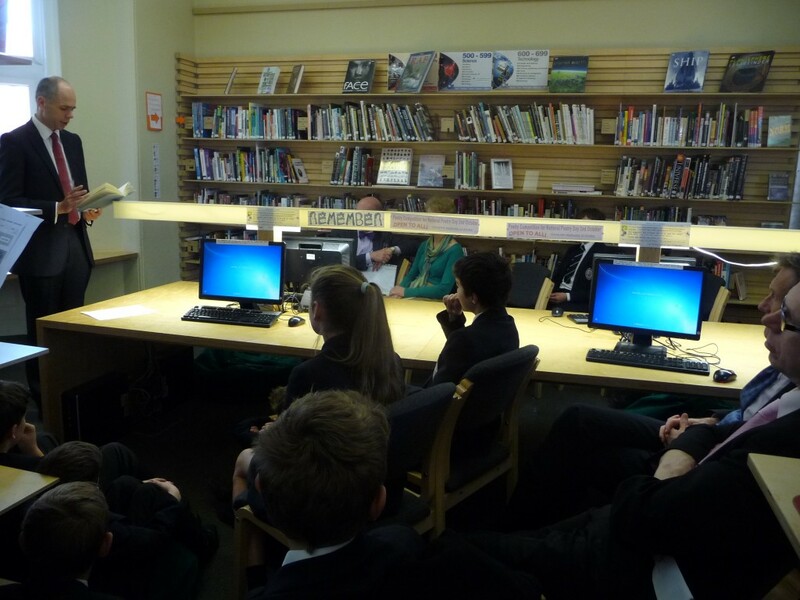 The Library and English Department made the most of the opportunity to celebrate poetry with activities to promote this year’s theme of ‘Remember’ (which also ties in with the WW1 Centenary). A poetry competition drew over seventy entries from pupils. Many chose to respond to the theme by writing poems of Remembrance for WW1 soldiers, but we have also received many moving poems in memory of pets and loved ones. 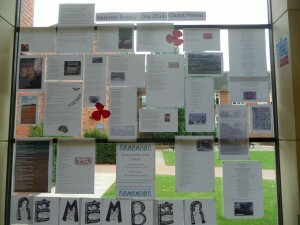 These are displayed in the Long Gallery alongside a display of classic ‘Remember’ poems, and will be judged next week.